I look at least 10 years younger, all my friends are gobsmacked and are making appointments. If you are thinking of having it done don't go anywhere else, these guys are the best...... Thank you so much. There is a beauty breakthrough which gives a subtle lift. Wrinkles and lines are not the only signs of ageing. Over time, the cheeks flatten and the skin may begin to sag. This is caused by natural volume loss in the cheek area or what is called age related midface volume loss. Juvederm volume is part of the vycross range and it is specifically designed to add volume beneath the skin's surface to lift and contour the cheek area allowing a more youthful appearance thus hydrating the skin at the same time. Cheek fillers can last up to two years using Juvederm volume and on repeat treatments less is needed. At Dublin 18 Dental Rooms we will have a detailed consultation with you to understand your needs and what facial features you would like to enhance. We will explain all the options to make sure that your treatment totally satisfies your expectations. The smooth consistency of the products in the vycross range by Juvederm allows us to administer your filler treatments easily and smoothly. They also contain lidocaine to reduce any pain for a more comfortable experience. After your treatment you may experience slight redness swelling or bruising at the injected area. These effects should not last longer than a week. Remember 12 hours after your procedure you can cover up any skin discolouration with make up. Facial Fillers are another form of non-invasive facial treatments which are used to smooth and fill out the skin. They add volume and help with the production of further collagen which we lose as we age. It's an ideal treatment for those who want to smooth out those persistent lines for a fuller more youthful look. Fillers can be used to create a more defined aesthetic look and to emphasise the lips. At Dublin 18 Dental Rooms we only use the highest quality products that have been used worldwide and extensively researched and approved by the FDA. We use Juvederm by Allergan for our fillers and Botox by Allergan for our anti wrinkle injection dental-treatments-dublin. About the procedure: Firstly we will book your appointment for a full facial consultation where we will discuss the benefits of fillers possibly combining treatments Botox injections for lines on the upper 1/3 of the face. We will book a 1 hour long appointment for treatment where we will ensure you are relaxed and understand all your treatment and expected outcomes. We advise our patients to ensure they have no important occasions for two weeks prior to treatment in the case of bruising. With fillers the results are instant with mild swelling. Over time, as we slowly age our face changes in many ways. This is part of the normal ageing process, but genetics and environmental factors can also play a role. You may notice a change in the appearance of your skin typically in the form of wrinkles and clearly defined wrinkles. But what may be less obvious is age related midface volume loss. There is a beauty breakthrough which gives a subtle lift. Wrinkles and lines are not the only signs of aging. Over time, the cheeks flatten and the skin may begin to sag. This is caused by natural volume loss in the cheek area or what is called age related midface volume loss. Cheek fillers can last up to two years using Juvederm volume and on repeat treatments less is needed. Lips tend to last 6 to 12 months. Natural Looking lips that last: Whether you've noticed your lips thinning over time, or simply want fuller lips, lip filler with Juvederm can give you natural looking results that can last up to 1 year. At Dublin 18 Dental Rooms we offer lip enhancement treatments to deliver a natural appearance.We are very specific with our treatment keeping your lips looking as natural as possible. We only use superior products for all of our filler dental-treatments-dublin. 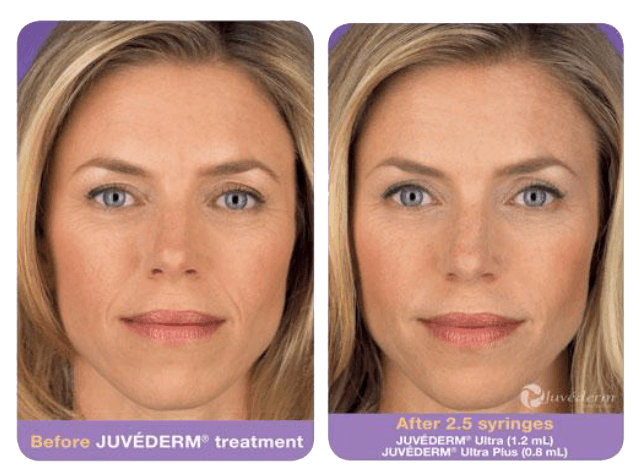 Juvederm volbella with lidocaine is the latest advancement in the juvederm range of facial fillers developed specifically for your lips and mouth area. It is a smooth gel with local anaesthetic which is injected making it a pain free procedure. This smooth gel allows for a smooth natural result. The gel itself fills in lip lines and wrinkles while the hyaluronic acid within attracts and retains moisture allowing the results to last up to one year. The main consideration when planning to have lip treatment carried out is to find a very experienced practitioner. Dr Eddie Goggins has over 21 years' experience in practice. He is a perfectionist by nature and his skills in dentistry and facial anatomy allow him to deliver each treatment with precision. Eddie takes time with each and every patient to discuss their expectations and the process involved to achieve the best possible results. We recommend a full consultation prior to treatment so we can plan ahead recovery time. We would recommend that our patients would not have any special occasion for two weeks prior to treatment.